An Absolutely Stunning Amber Teardrop Feathered Necklace. 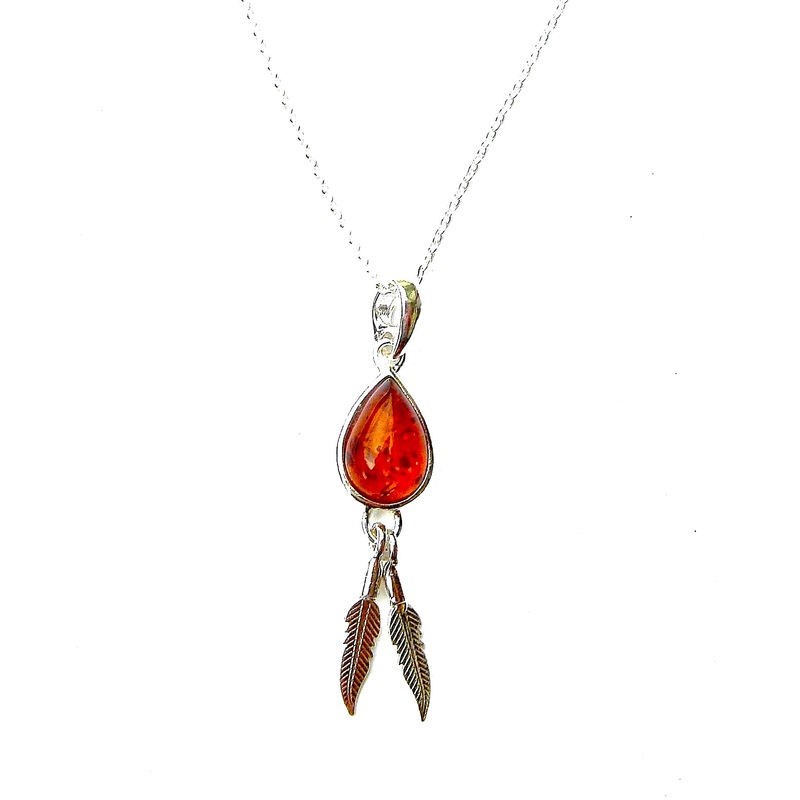 This Stunning Amber Teardrop Feathered Pendant has a Lovely Sterling Silver Teardrop with A Pretty 12 x 8mm Teardrop Amber Cabochon with 2 Lovely Feathers hanging below and it comes on a Pretty 18″ Italian Silver Cable Chain. It is 4 1/2cm long including its bale. This website is strictly for approved Wholesale customers only, if you are looking to purchase this Stunning Amber Teardrop Feathered Necklace from a retail store, please visit Shooting Star. We have a vast range of Silver Jewellery as well as Gemstone Silver Jewellery. We also have a brand new ‘Boxed to Go’ range! Simply open the boxes and put them on your shelves, ready to sell. We are very proud of our range of products and we hope you love them just as much as we do! An Absolutely Stunning Amber Large Oval Pendant. This Stunning Amber Large Oval Pendant has a Lovely Sterling Silver Surround with which twist up and over to form the Bale, set within it is a Beautiful 18 x 13mm Oval Cabochon. It is 4 1/2cm long including its bale by just under 1 3/4cm wide Chains also available.